AV Media Server is a timeline based media server solution featuring unlimited layers for images and videos as well as for texts, audio and various control elements. Visual objects are manipulated very flexible by position, movement, transitions and synchronization. Animations and real-time effects can be applied to any content. The patented smartprojecting technology turns AV into the best tool for multiple projections: Using a camera all projector images are aligned automatically. Softedge methods and surface corrections are applied without any additional effort in outstanding visual quality. The integrated warping engine enables 3D-mapping and projections on arbitrary formed surfaces (e.g. Dome projections). You will be surprised how easy such complex tasks are now accomplished. 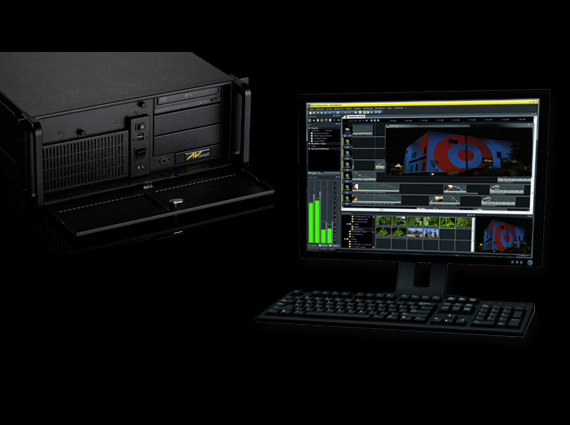 AV Media Server integrates seamlessly in professional environments by supporting various control interfaces like DMX, LAN, MIDI as well as mouse- and keyboard driven input. There is an option to use iPhones and iPads as control interfaces, too.